Hola Chicas! So I’m a big fan of the whole “fix it, don’t throw it” thing – which extends from a simple broken radio (soz, I’m an engineer) to even a situation, a friendship, or a home. It means that sometimes aspects of your life simply need sprucing up, not giving up on, or starting all over again. Since I moved into my partners’ house after graduating from uni this year, I’ve been trying to make our little attic space a home. 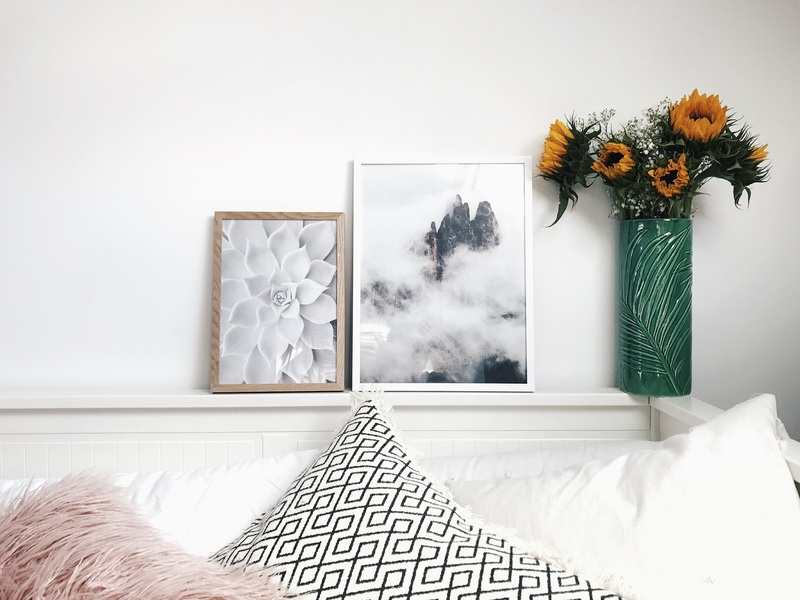 From throwing in candles, to floral displays, or adorning our bed in the fluffiest cushions I could find – I am so on that make-a-house-a-home hype. As the weeks go on, I always get a little restless with my homeware situ, you know? I love moving things around and adding new colour, textures – changing things up a little as I go along. Desenio got in touch to offer up a few of their beaut posters to change up my home decor game, & I was like a kid in a candy shop. 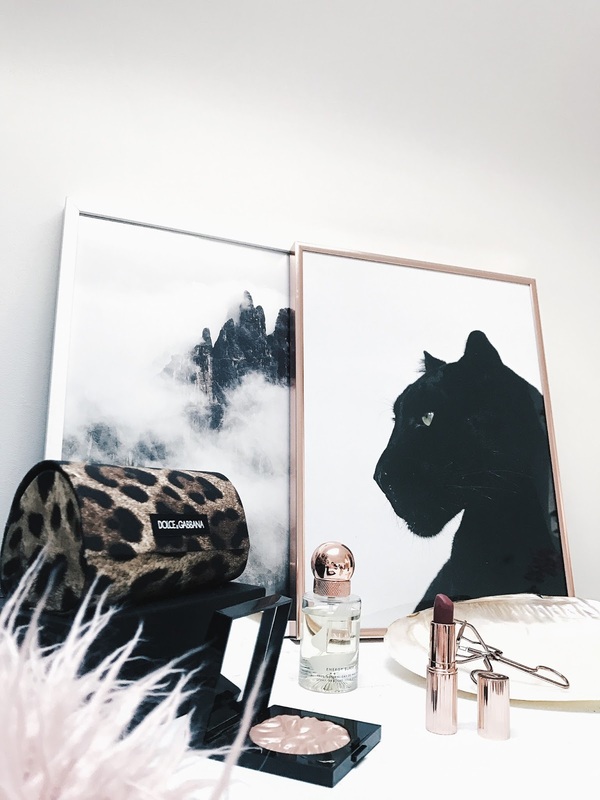 Despite being a big beauty and fashion fan, decor is one of my passions and I really do hope that shines through to you all in my photography, etc! 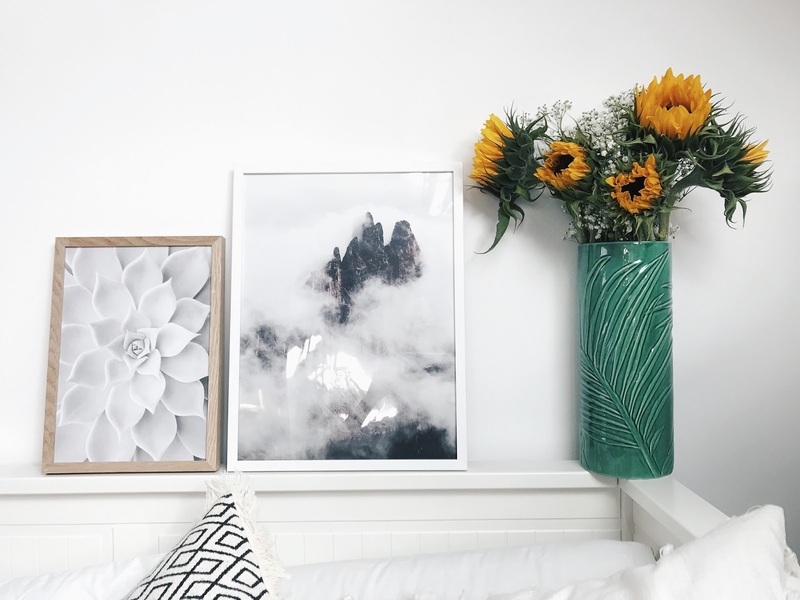 I’ve been sneaking these Desenio prints and posters into the backgrounds of blog photos and IG posts galore, and now I’m so excited to share my poster picks with you all. 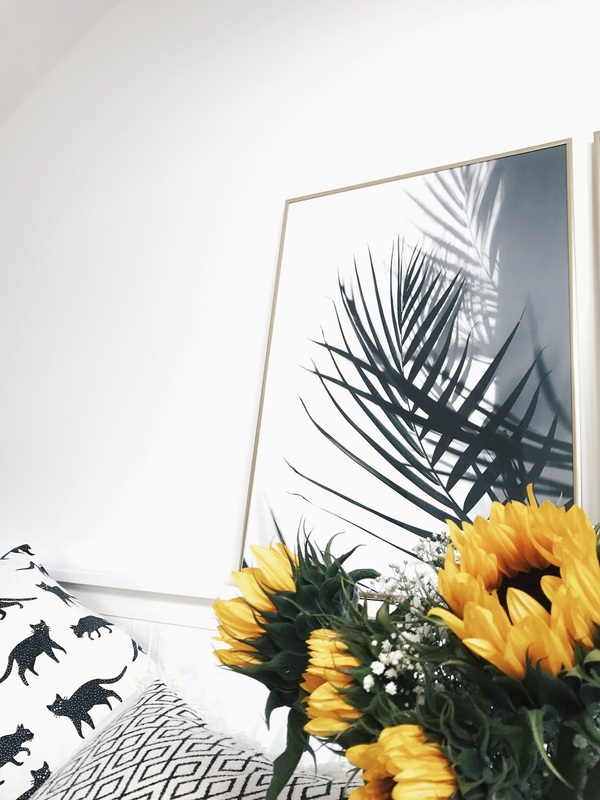 I’m a big fan of picking an artwork/decor theme and allowing that to run throughout the room (or entire home) fitting in with your colour scheme. 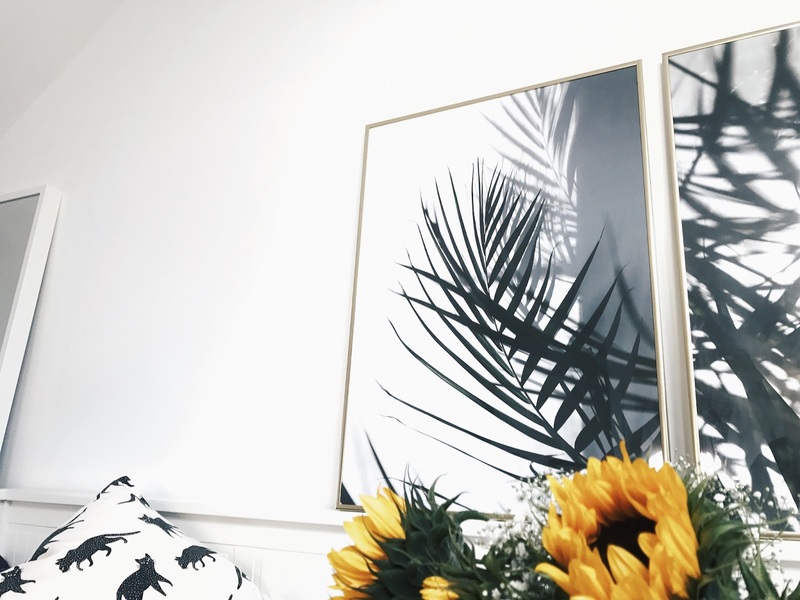 I opt for a more natural, or botanical print/poster vibe to bring a bit of the outdoors, in! If you use easy mounting with those “no damage” strips too, you can move your prints around every time you get a bit a restless interior eye. 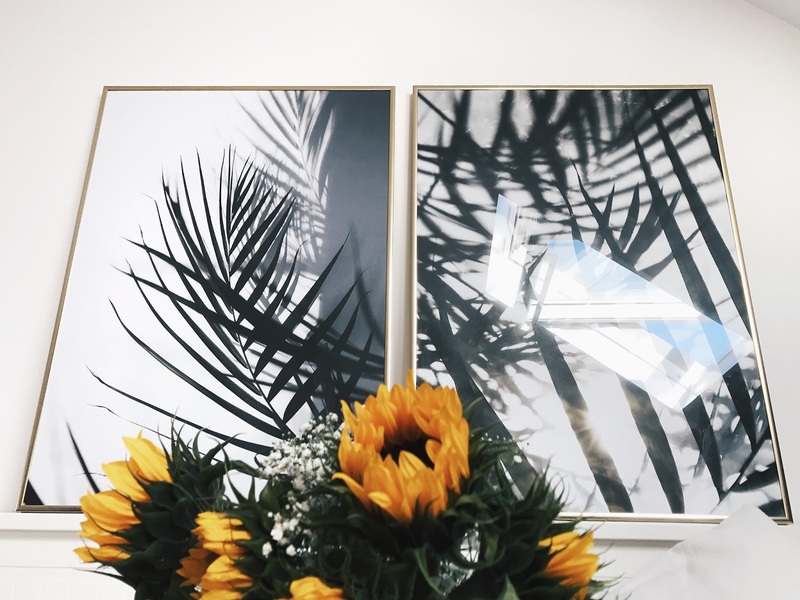 The first two prints are the Sunlight/Shadow* duo – you can totally purchase them on their own, but I think they’re too gorgeous to have just one of. I love the idea of placing these two together as one visual spectacle, but also in different places around the same room to channel a vibe to every corner. 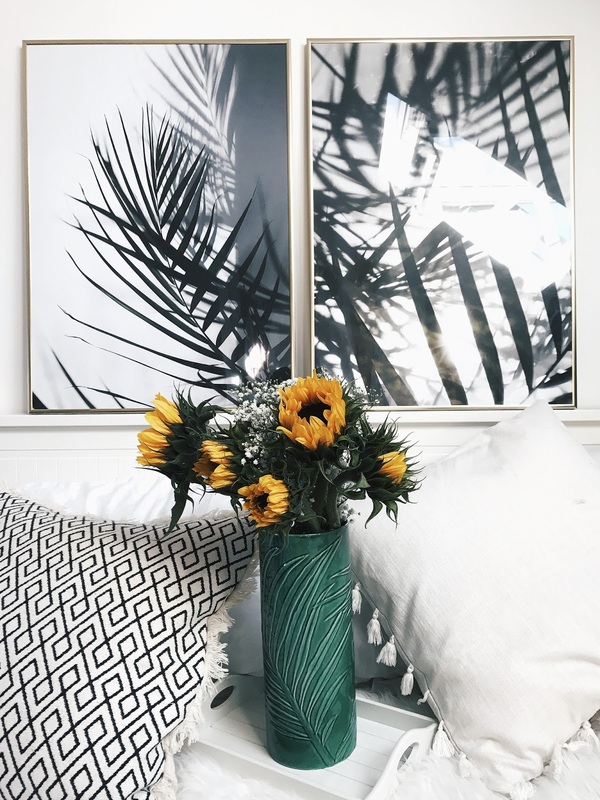 I’m a big nature lover, and I hope to adorn my own place with greenery galore v. soon – but for now, a splash of palm print is perfection. I also nabbed the Fog Mountain* & Black Panther* prints to further enforce those “jungle” feels – popping the Fog Mountain print in a White frame* gives an airy, floaty feel to any corner of the room! 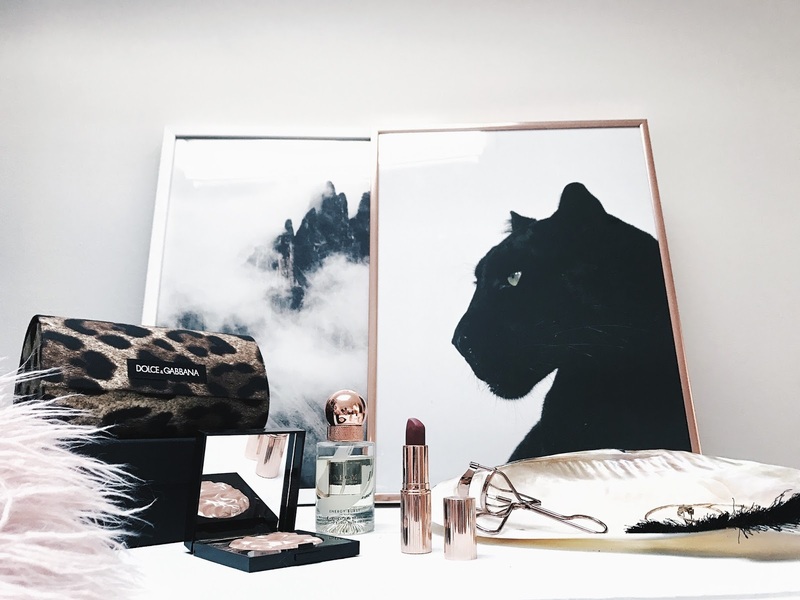 Obviously, I had to get a big cat print (otherwise I’d be a bit of a crappy “The Kitty Luxe, eh?) and this Black Panther piece really does make a statement. 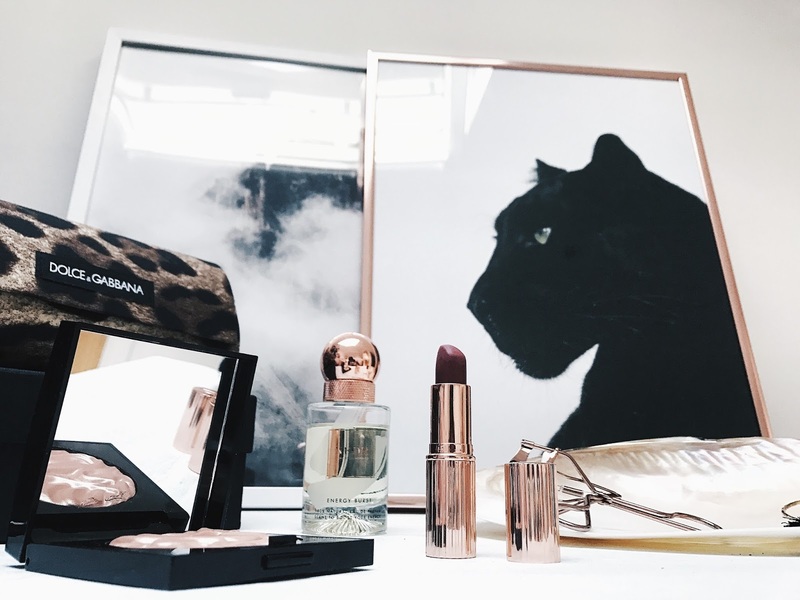 Propping this up on my vanity station really does draw the eye and adds impact, it also reminds me to be a #girlboss on the regular as it’s such a powerful image. Last but not least is my little White Succulent* print, which I enjoy moving about the place (not least using it as a blog prop!!!) as it’s the perfect size to rearrange as you please. 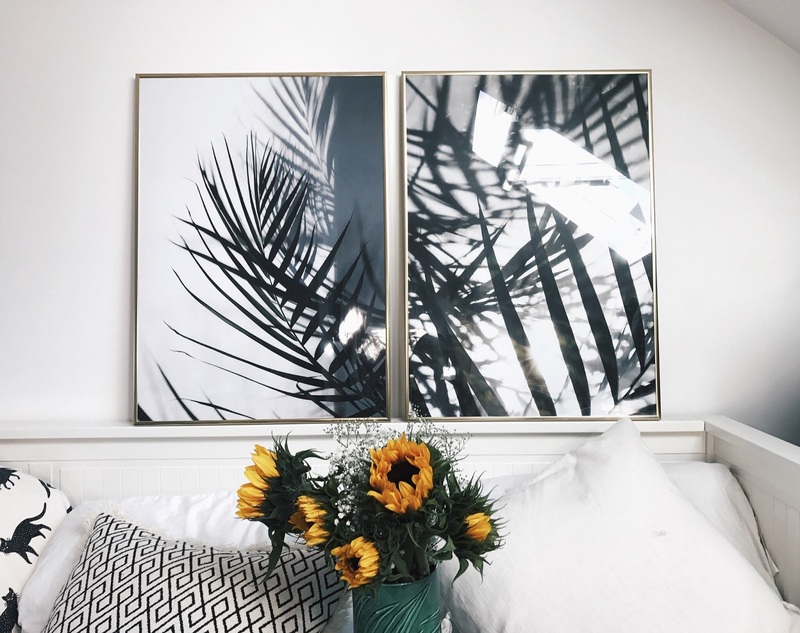 Honestly, prints in frames might just be what your home, or your blog, needs as a little interior pick-me-up, a revival so to speak. My home is looking much more alive for it, and I’m feeling more inspired everyday. I know right, it's such a lovely pick me up! Thank you so much lovely, I totally agree! I totally agree with you there, Jenn!